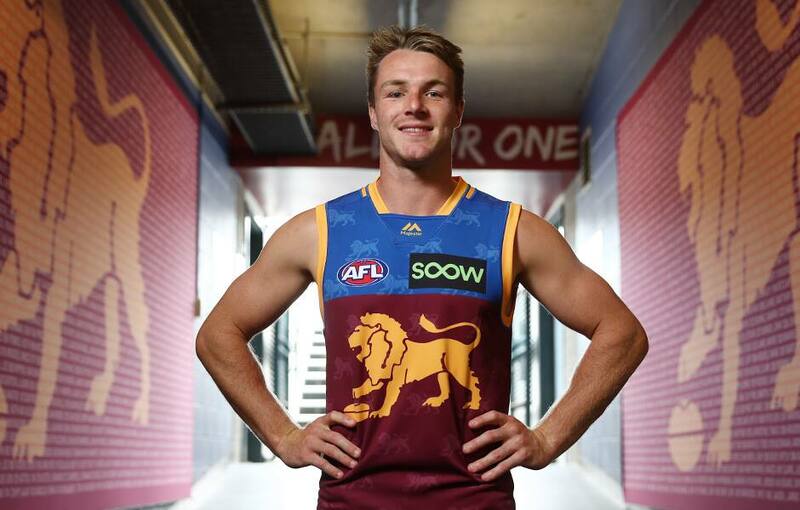 Brisbane Lions recruit Lincoln McCarthy is yet to miss a pre-season training session at his new AFL home, as he plans for an injury-free 2019 season. McCarthy joined his close friend and fellow South Australian Lachie Neale in swapping clubs during the AFL Trade Period from Geelong and Fremantle, respectively. He played 19 of his 29 senior matches in the 2016 season, with foot problems forcing him to miss the entire 2013 and 2015 campaigns. Hip, hamstring, groin, back and quad setbacks also restricted the 25-year-old small forward since he was the No.66 pick in the 2011 draft. Cats coach Chris Scott was a big fan of McCarthy's – and the latter's new mentor at the Lions, Chris Fagan, has quickly figured out why. Fagan's first advice to the new Lion was for him not to risk injury trying too hard to impress his teammates in his early weeks at the club, insisting there was plenty of time to win them over. "The fact Geelong kept him for seven years and he played only 29 games, mainly due to injury, was a reflection of what they thought of him," Fagan told AFL.com.au. "First and foremost, we've had to work hard for him to get confidence in his body, so it's been a gradual progression through the pre-season. "It's pleasing to say he's not missed a session, albeit he hasn't done everything all the other players have done, but he's worked every session and he's doing three football sessions a week." Fagan plans to use McCarthy in the midfield on occasion, on top of his forward duties, so impressed is he with the 177cm former Cat. "When you watch him train and play in 'praccy' games; he's just got that footy chip inside him," the coach said. "He's intuitively good around contests, he can read the play and he knows what to do when he's got the ball – he's probably made that decision before he's got it. "He is good in and around stoppages, so we'd like to use him there (the midfield) a bit and I don't just see him as a forward." McCarthy's close bond with Neale was considered a big factor in Brisbane's ability to lure the star ex-Docker east and has been on show in their first few months in Queensland. "They're like brothers, really," Fagan said. "They came from pretty much the same area in South Australia and played all their junior football together, so they have a healthy respect for one another and are enjoying each other's company. "It was a dream of theirs at some point in time to play footy together, and somehow or another it's happened, so hopefully they'll be like the Bash Brothers in the BBL, those two." Where McCarthy fits into the Lions' immediate plans remains to be seen. His small forward competition includes Charlie Cameron, Lewis Taylor and Allen Christensen, but they may all be able to fit into the same 22. Fagan is open minded on what his round one team will look like, with more than 30 players being rotated through Brisbane's 'best' side in match simulation in the pre-season. Only 19 players remain at the club from when the premiership-winning former Hawthorn football boss took over as the Lions' coach in October 2016. This is truly Fagan's team now and opportunity beckons. "We've basically been playing our best team against our reserves team (in match simulation since before Christmas), but there's been a rotation of players in and out," he said. "We've played about 31 players in those practice games in the 'best' side, so that spells it out pretty clearly to the players, without saying it, that there are spots up for grabs. "We've trialled different things, too: three tall forwards, two tall forwards – do you play a tall backline or a short backline? – and experimenting with different midfield rotations. "We're trying out the new rules and different things to try, so we make the most of match simulation and there's a lot of experimenting and trialling going on."